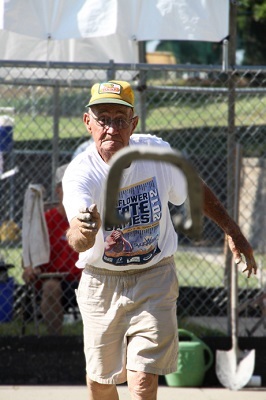 "We are very excited to see the championship in Topeka," said Melvin Jeardoe, regional director of the Kansas Horseshoe Pitchers Association. "This is an opportunity for pitchers in Kansas and the surrounding states that may not come again in their lifetime." 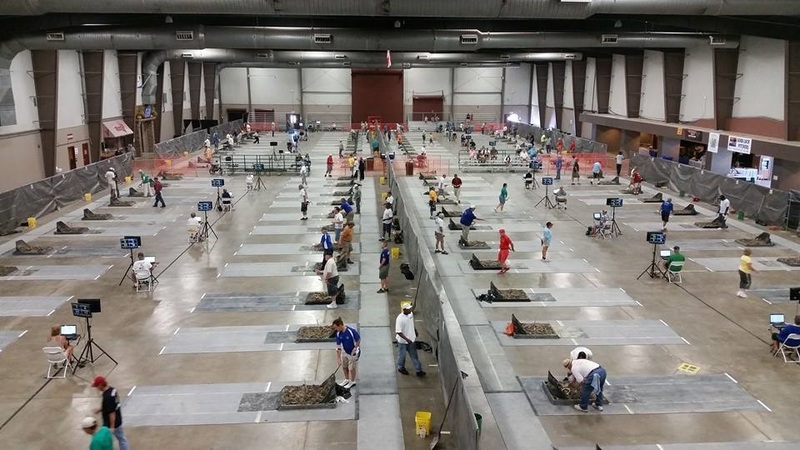 More than 60 clay courts will be set up in the Kansas Expocentre&apos;s Exhibition Hall and Landon Arena from July 13 - 25 for the 2015 World Horseshoe Pitching Championships. The tournament is estimated to bring an economic impact of at least $2 million to Topeka hotels, restaurants and businesses. Delegates from the National Horseshoe Pitchers Association chose Topeka over Charleston, W.Va. and Wichita Falls, Texas to host the two-week event based on key factors such as Topeka&apos;s central location, indoor courts, quality attractions and activities. "Hosting a world tournament in the capital city is huge," said Brett Oetting, Visit Topeka Inc. president and CEO. "This is a great event to showcase to the world what Topeka is all about, and there couldn&apos;t be a better time to do that with the variety of events going on this month." •	July 8-10 - Set up begins each day at 8 a.m. Volunteers will be hauling in clay to make 66 courts for tournament play. •	July 11 - Celebrity Challenge runs from 9-9:45 a.m. Local media and sponsors will line up to pitch 10 horseshoes at the same time. •	July 12 - "Ringers Across the Border" doubles tournament begins at 1 p.m. Canadian and American players will be paired up to compete in a friendly competition to raise money for the Gage Park War Memorial. Once the Americans and Canadians are paired up, players will be paired up with someone from another state or country. •	July 13 - Opening ceremonies begin at 10 a.m. Shawnee County Commission Chair Kevin Cook will welcome players and their families to Topeka before Topeka Mayor Larry Wolgast and Bronson Mayor Alan Stewart throw out the first pitches. The first World Horseshoe Tournament was held in Bronson, Kansas in 1909. Show your support! ESPN SportsCenter will broadcast live from the tournament from 9 a.m. - 12 p.m. ET (8 - 11 a.m. CT) on Saturday, July 18 during the Junior Cadets, Boys and Girls Championships.